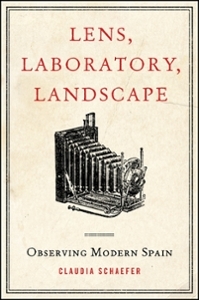 Lens, Laboratory, Landscape: Observing Modern Spain﻿. State U of New York P, 2014. SUNY Series in Latin American and Iberian Thought and Culture. 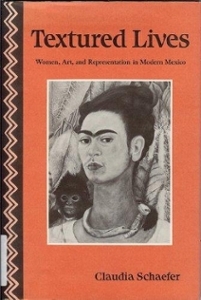 Frida Kahlo: A Biography﻿. Greenwood P, 2008. Greenwood Biographies. Bored to Distraction: Cinema of Excess in End-of-the-Century Mexico and Spain. State U of New York P, 2003. SUNY Series in Latin American and Iberian Thought and Culture. Danger Zones: Homosexuality, National Identity, and Mexican Culture. U of Arizona P, 1996. Textured Lives: Women, Art, and Representation in Modern Mexico﻿. U of Arizona P, 1992. 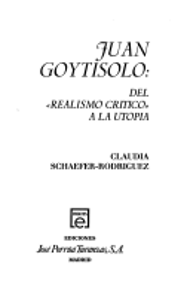 Juan Goytisolo: Del "realismo crítico" a la utopía﻿. José Porrúa Turanzas, 1984. Ensayos. With Raúl Rodríguez-Hernández. "From Utopia to Uchronia: After-images of Revolutionary History in Contemporary Mexican Film." Studies in Spanish and Latin American Cinema, vol. 13, no. 2, Jun. 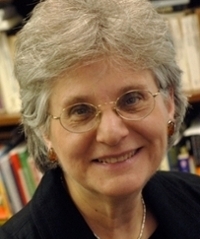 2016, pp. 137-57. Ingenta Connect, doi:10.1386/slac.13.2.137_1. With Raúl Rodríguez-Hernández. "Magic Mexican Modernity: The Shifting Image of Witches and Witchcraft in the Movies." The Supernatural Revamped: From Timeworn Legends to Twenty-First-Century Chic, edited by Barbara Brodman and James E. Doan, Fairleigh Dickinson UP / Rowman and Littlefield, 2016, pp. 97-114. "Clothes Make the Man: Closet, Cabaret, Cinema in El lugar sin límites (Arturo Ripstein, 1978)." Despite All Adversities: Spanish-American Queer Cinema, edited by Andrés Lema-Hincapié and Debra A. Castillo, State U of New York P, 2015, pp. 221-36. SUNY Series, Genders in the Global South. With Raúl Rodríguez-Hernández. "The Sublime Vampire: Transparency, Melodrama, and the Mise-en-Scène of Two Mexican Vampire Films." The Universal Vampire: Origins and Evolution of a Legend, edited by Barbara Brodman and James E. Doan, Fairleigh Dickinson UP / Rowman and Littlefield, 2013, pp. 225-38. "Parodying Paradise: When Mexican Buddy Films Turn Rudo y Cursi." Quarterly Review of Film and Video, vol. 30, no. 1, 2013, pp. 50-61. Taylor & Francis Online, doi:10.1080/10509208.2010.544974. "Revolution, Ideology, and the Eye of Cinema: El cometa as Mise en Abyme." 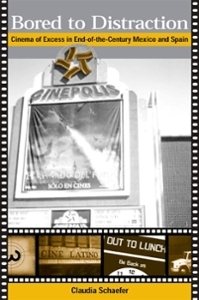 Studies in Hispanic Cinemas﻿, vol. 8, no. 1, Jan. 2012, pp. 37-49. Ingenta Connect, doi:10.1386/shci.8.1.37_1. "Who's Buried in Beatriz's Tomb? Monuments, Mementos, and Muses." The Boom Femenino in Mexico: Reading Contemporary Women's Writing, edited by Nuala Finnegan and Jane E. Lavery, Cambridge Scholars, 2010, pp. 280-94.